Start downtown with breakfast at one of our cafés or coffee shops and spend a little time chatting with the locals. Head to the Rathskeller at Turner Hall for lunch and a cold beverage, and to admire the uncovered and restored murals of Germany, Switzerland and Italy, which were covered over during WWI. 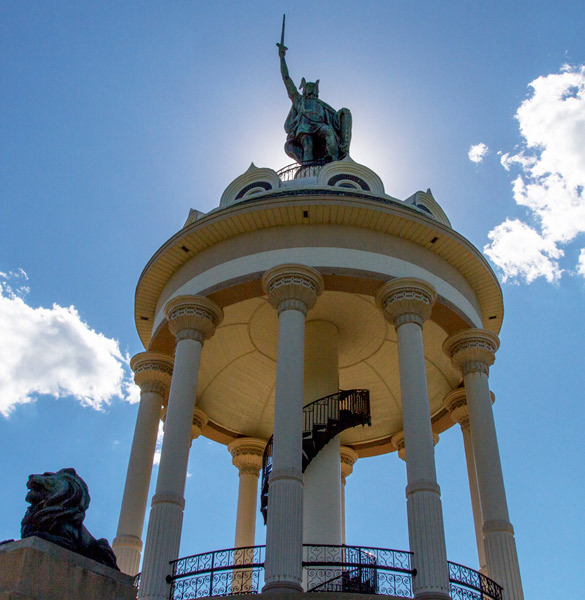 Work off your meal and climb the 99 steps to the top of Hermann Monument, where you’ll be rewarded with a panoramic view of the river valley. Snag a ticket for a tour of the August Schell Brewery. The nearly one-hour tour includes a walk through the old brew house, a view of modern production, and plenty of time to sample beers in the Schell’s tap room. Afterward, wander through the carefully tended gardens, say hello to the deer and peacocks or visit the gift shop. Treat yourself to an authentic German dinner at one of our downtown restaurants, and enjoy the nightlife along Minnesota Street.